I went shopping last weekend and saw a beautiful champagne coloured pineapple lamp at Laura Ashley (see below). I’ve noticed they’re popping up all over the place at the moment. Pineapple lamps must be the trend du jour. This is the stunning lamp I saw in Laura Ashley’s store a couple of weeks ago, where it caught my eye! Isn’t it pretty? (Pictured above too). While trendy and fun, this lamp neither bright nor garish. It’s subtle and understated. 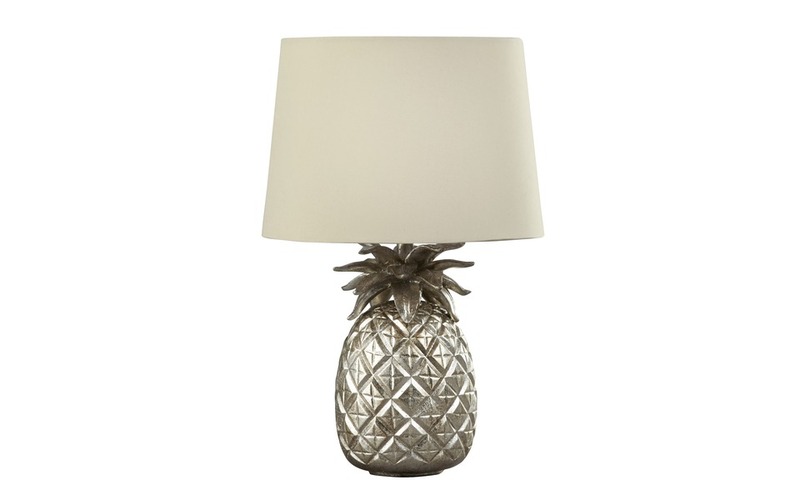 This lamp is perfect for somebody who is looking for a pineapple lamp that’s not too overwhelming and distracting. It’s a fantastic nod to the trend, but it won’t take over your whole room. It costs £75. Graham and Green is one of my favourite shops. They’re an absolute treasure trove for people who love eclectic style. They have FIVE different pineapple lamp bases in stock at the time of writing. Graham and Green sell a whole host of items decorated with pineapples, including bookends, doorknobs and candleholders. 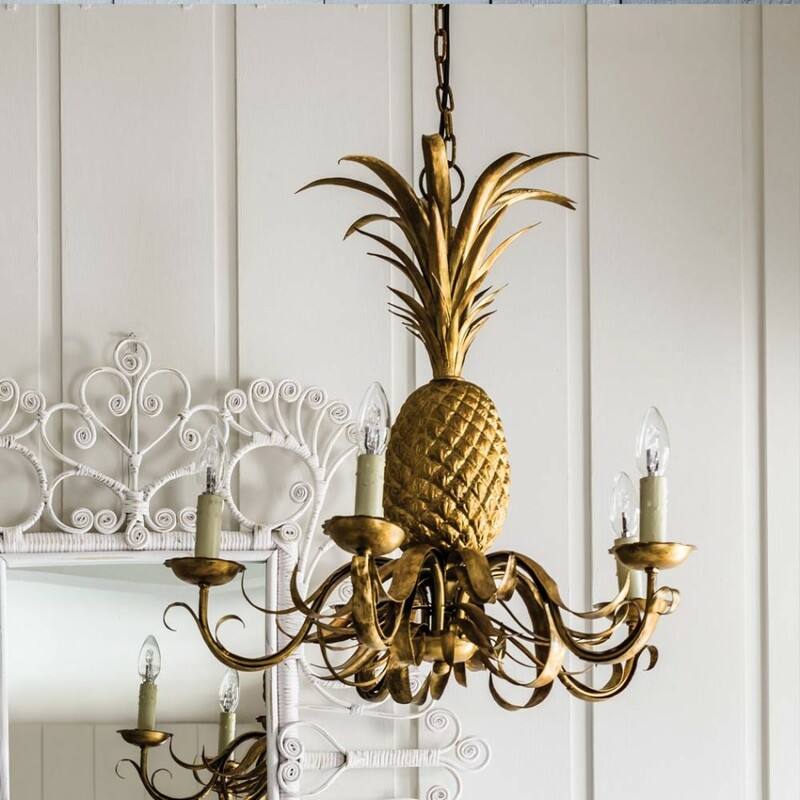 If you’re looking for a BIG statement piece, this pineapple chandelier is worth checking out. Shop pineapple lamps at Graham and Green. A brief history of the pineapple & why the fruit is a popular home decor item! Christopher Columbus and his shipmates were the first European men to taste the pineapple when they landed in the Caribbean in 1493. Because it was difficult to transport the juicy fruit back home, it became a rare delicacy. In the 17th century, the pineapple became popular in colonial America too. Producing a ripe pineapple for guests was considered a significant achievement at the time, due to the slow and perilous trades routes between America and the Caribbean Islands. As such, the seemingly exotic and rare qualities of the fruit turned it into a symbol of fine hospitality. This led to the fruit being used in design and during the 18th and 19th centuries, when you’d find it printed on tablecloths, napkins and anything to do with welcoming guests. Although pineapples are abundant in today’s society, the fruit is still considered a welcoming symbol. 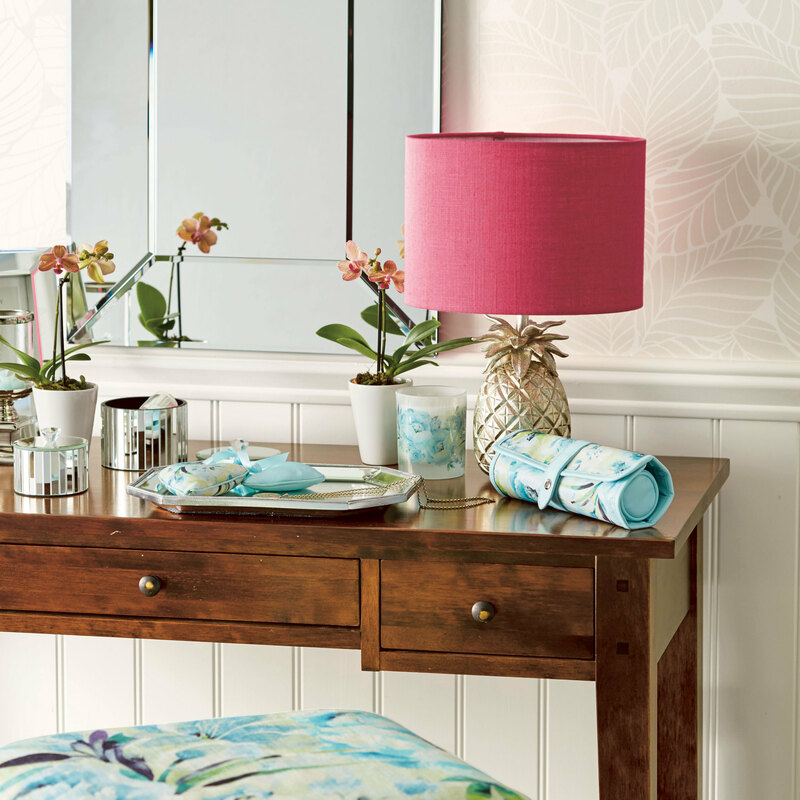 You’ll find pineapples adorning everything from lamps to candle holders, salt and pepper shakers and beyond. Pictured above: A pineapple chandelier from Graham and Green. Complied using information from University of Central Florida Libraries website. 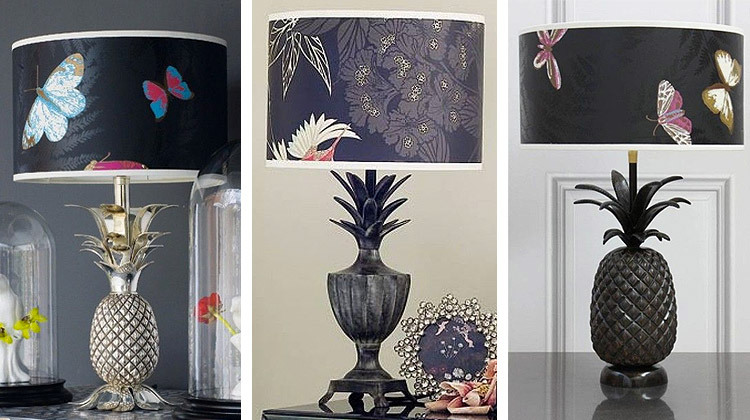 Which pineapple lamp is your favourite? Will you be buying a pineapple lamp for your home? If so, will it be any of the above, or do you have another favourite? Let us know in the comments section below! * These were available at the time of updating on the 3rd September 2016. Prices, offers, discounts etc all subject to change.